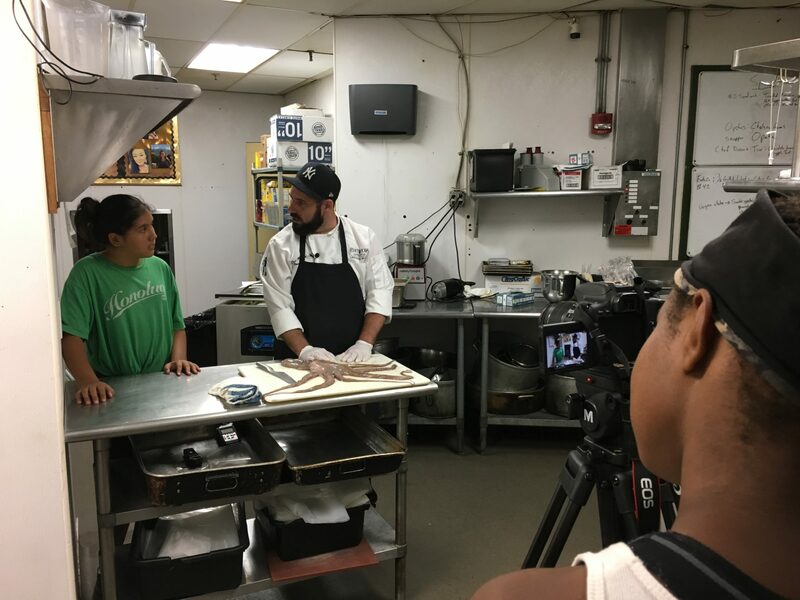 Each year our filmmaking students ages 12-18 work with event chefs and local farms to make short films. Guests vote on their favorite film at the event and the students are presented with an award. While the event is still 21 & over, this year our students will be able to attend in person for the first time to present their films and receive their award. 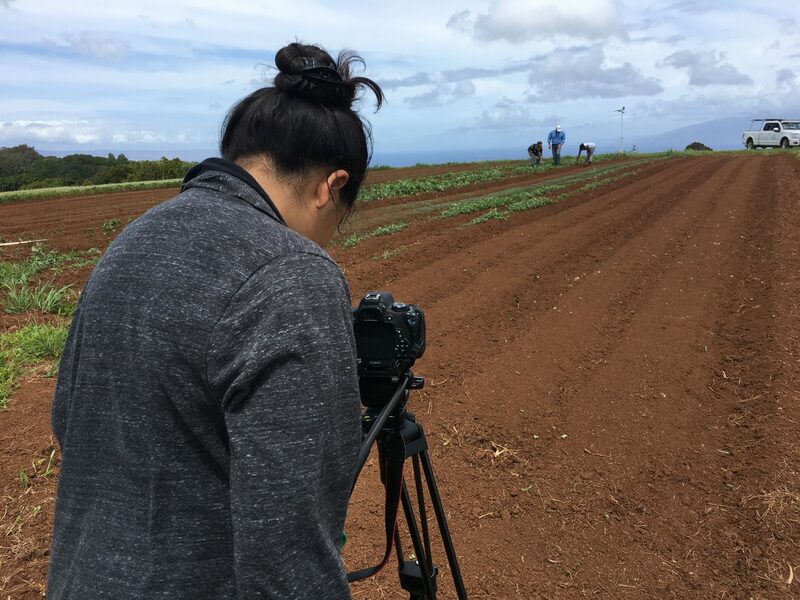 Below are some photos of this yearʻs students working on their films. Join us at our 7th annual event! 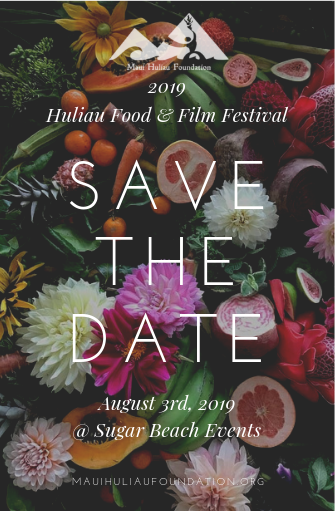 Our Huliau Food & Film Festival is a farm-to-table celebration of local agriculture featuring local chefs and student-produced films. 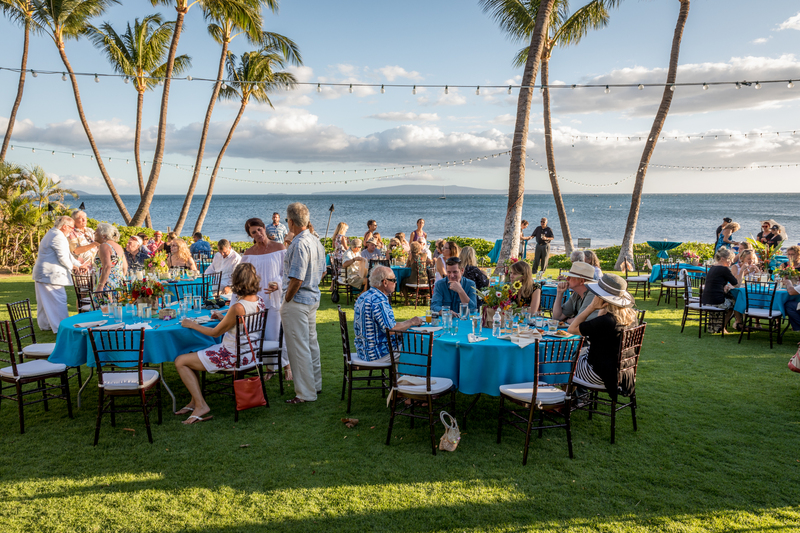 Our seventh annual festival will take place on August 3rd, 2019 at Sugar Beach Events’ beautiful oceanfront venue in north Kihei. 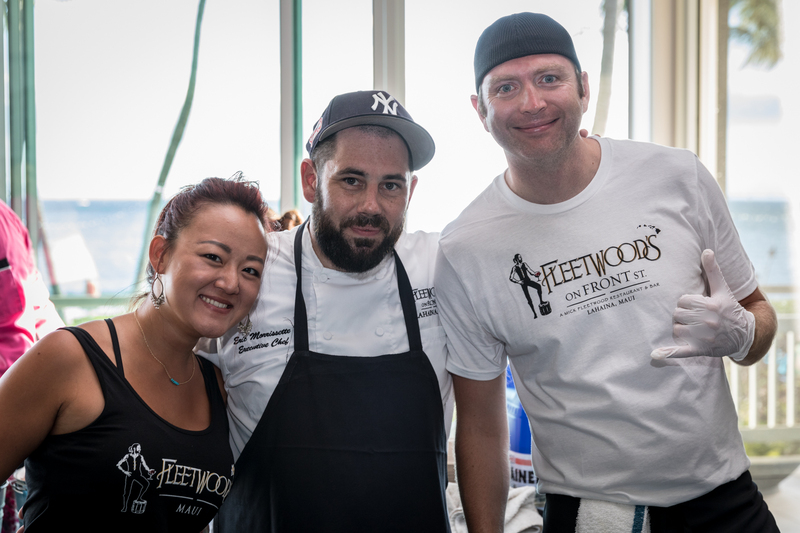 The event features chef-run farm-to-table stations, and cash bar of 100% locally-produced cocktails, beer and wine. Guests enjoy live music, a silent auction and a food-themed student film contest. Event admission is $95, or $110 at the door, and includes access to all chef stations and one complimentary drink from the bar. 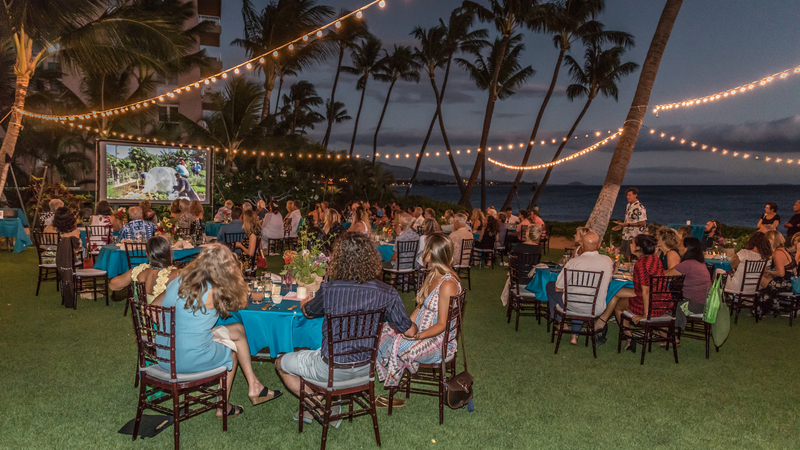 All funds raised benefit Maui Huliau Foundation’s environmental education programs for Maui youth. 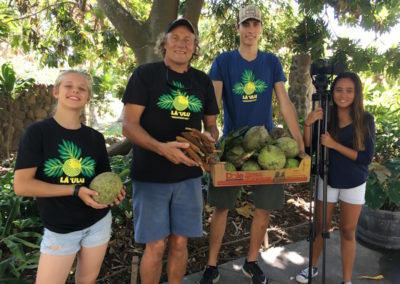 Our 2018 Huliau Food & Film Festival raised over $42,000 for Huliau programs! 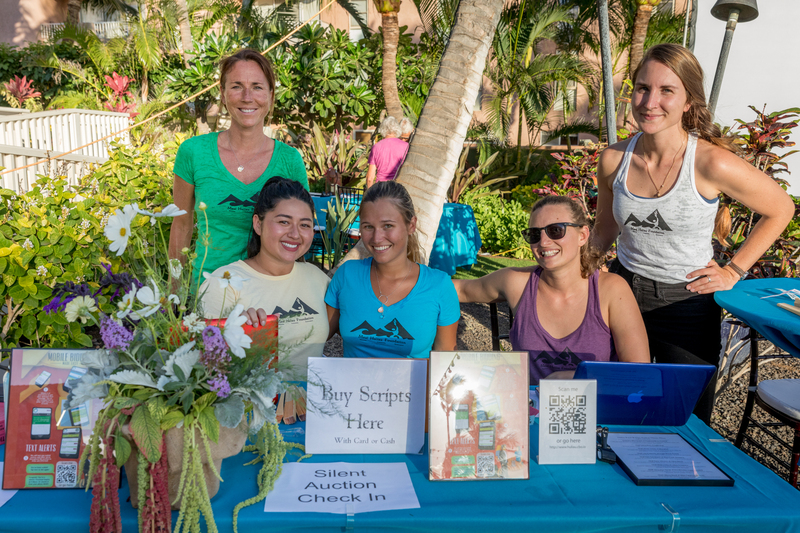 Our 2018 event was proudly sponsored by Skyline Hawaiʻi, Pacific BioDiesel, Blue Ginger Hawaiʻi, CDF Engineering, Hawaiian Paddle Sports and Maui Electric Company. Ticket sales for our 2019 event will begin in June. For sponsorship information click here. 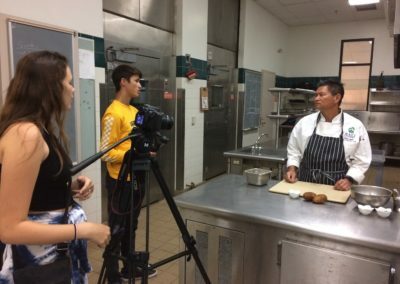 Congratulations to Huliau students Troy Lau and Natalia Polinskey for winning our 2018 student film contest for their film featuring Chef Dean Louie. 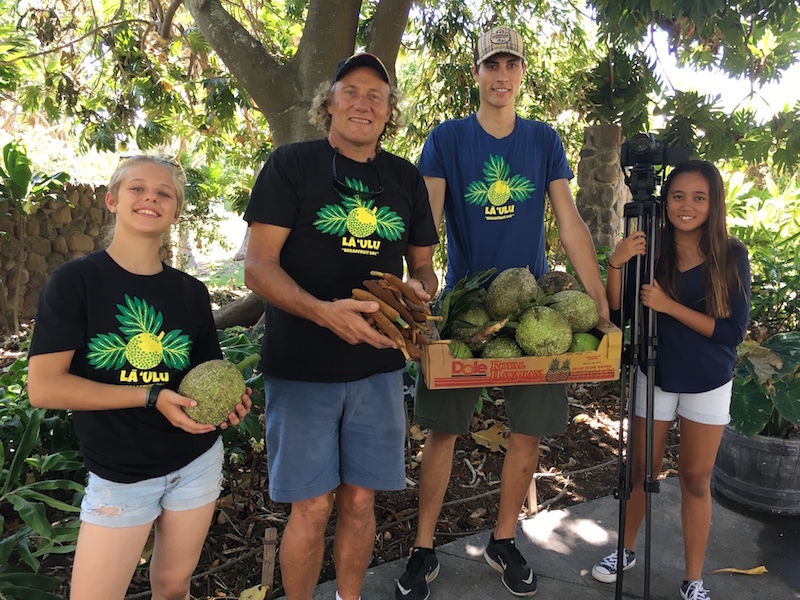 In addition to our student films, this year’s event will feature ʻukulele music by Arlie-Avery Asiu! Arlie plays regularly on Maui with local artists such as Wille K and also teaches ʻukulele lessons. He began composing music at age 9 and has had multiple Nā Hōkū Hanohano, in 2017 for “ʻUkulele…Off the Couch” and in 2018 for “My Dog Has Fleas”. His music incorporates jazz, rock, and Hawaiian sounds. 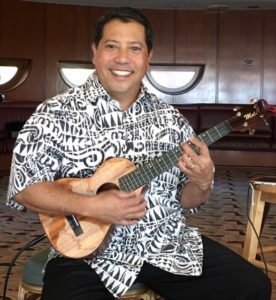 His instrumental songs blend ‘ukulele with cello, bass, saxophone, various drums and—in true Hawai‘i style—a rubber slippah. Arlie’s enthusiasm shines through in his refreshingly upbeat music. He prefers fancy finger picking over strumming and loves to experiment with unusual tunings. He doesn’t play it safe—he stretches himself artistically. For more information visit Arlieʻs website. 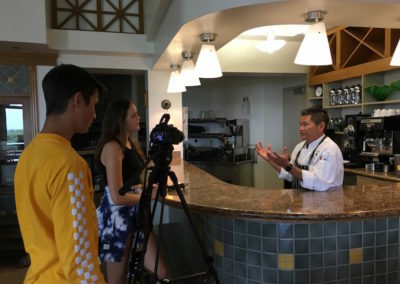 Dean Louie’s culinary experience has spanned several decades; starting at the historic Sheraton-Palace Hotel in San Francisco in 1990 as an American Culinary Federation (ACF) Chef’s Apprentice, to eventually manage hotel kitchens and create restaurants on Saipan, Guam and Maui.Chef Dean started teaching culinary arts classes at University of Hawaii Maui College in 2001. 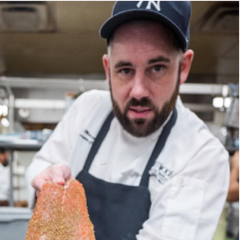 He has taught a range of credit courses including advanced cooking, garde manger, sanitation &amp; safety, purchasing &amp; cost controls, and culinary arts field experience. As the assigned Culinary Arts Program Coordinator, he spearheaded sustainability measures to recycle the culinary program’s organic waste and reduce energy, water and expenses for the 38,000SF facility. 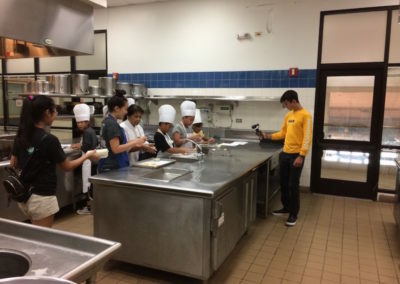 In 2009, he steered the Culinary Arts program to establish fundraising efforts with industry partners for equipment and scholarships that endures and exceeds an average of $100,000.00 annually. 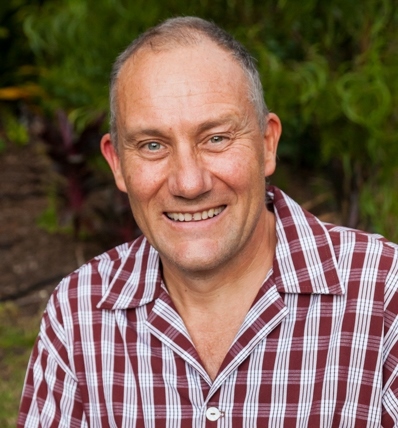 He developed University of Hawaii contractual resources that provide independent Operational Support contract services for the Pa’ina facility, led the department through the ACF Accreditation Commission to become recognized as an exemplary program, and facilitated mobile POS technology and online assessment in all culinary arts courses. 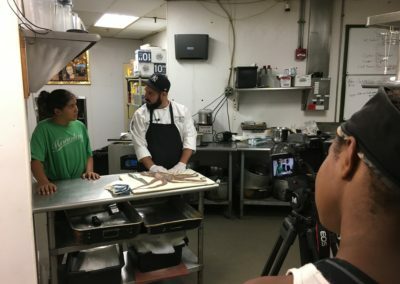 As an advocate of outreach education for the Maui County community, Chef Dean has taught Culinary Boot Camps to underserved populations on neighbor Hawaiian Islands of Lana’i and Moloka’i, and trained inmates in workforce development classes at Maui County Correctional Center in an effort to reduce recidivism. 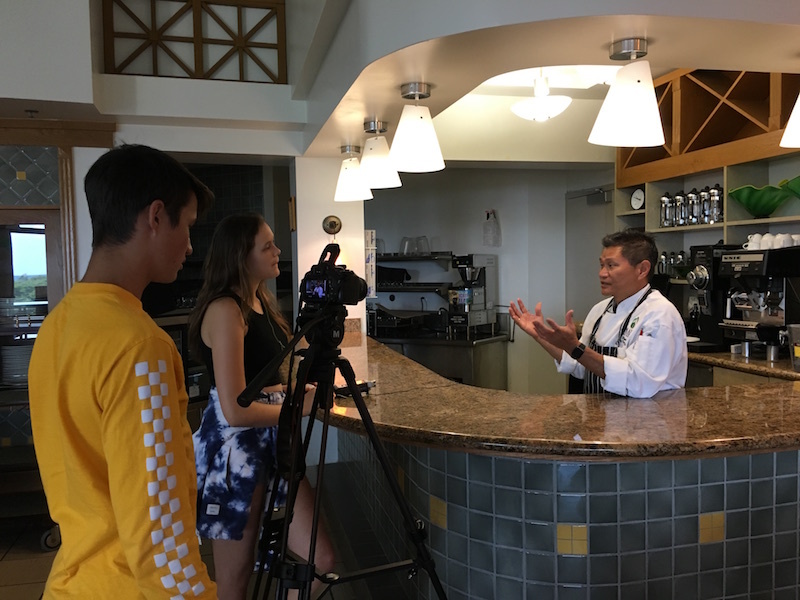 Along with Chef Instructor Kyle Kawakami, he designed and sustained the Into- The-Fire high school student scholarship competition to promote culinary arts education at Maui College through college scholarships. 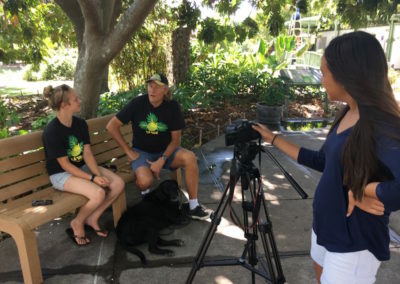 He is an Associate Professor and holds a Bachelor of Arts from California State University at Sacramento, and a Master’s Degree from the University of Hawaii, at Manoa. He currently leads, develops and teaches continuing education and training programs for youth, adults and the business industry. Originally from Charleston, South Carolina, Chef Lee’s love of all things culinary began at a Mexican restaurant 30 years ago. 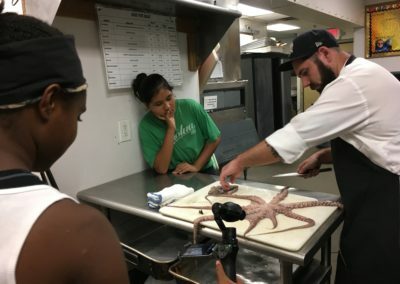 The dedication she demonstrated there eventually led her to the opening culinary coordinator position for a national restaurant concept where she travelled throughout the southeast developing and training new employees. Working with the Director of Culinary Development, Chef Lee’s career path became clear. 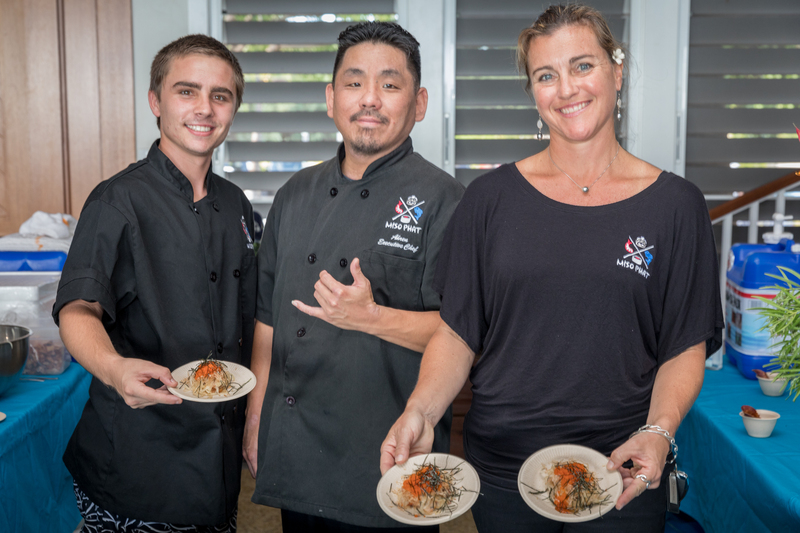 Subsequent to that, an eight year stint with Metromedia Restaurant Group led Lee to the decision that she would move to Maui. She landed in the management team at Spago at the Four Seasons Resort, Maui. After nearly three years with Spago, Chef Lee created and sold her first catering company. Learning from that experience, she built her own ocean front venue where she is enjoying success at Sugar Beach Events. Zach started in the industry as a dishwasher at the young age of 13. 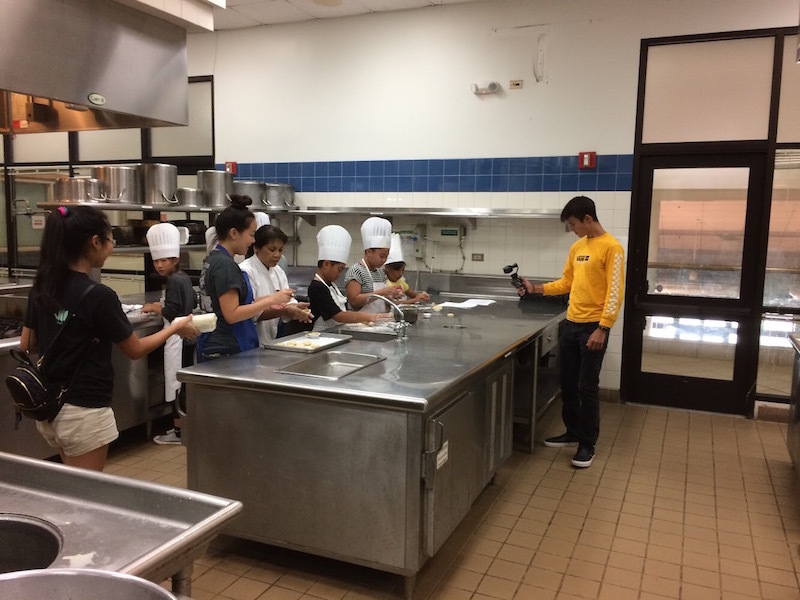 At 16 he started cooking, he quickly realized that the Restaurant Industry is for him. 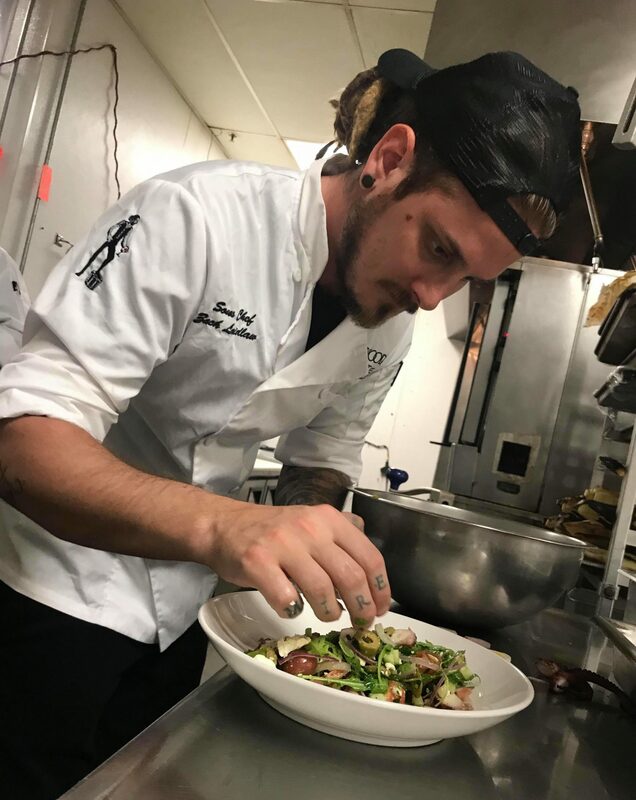 Raised in the small-town of Burlington, Illinois, Zach spent his childhood playing sports, music, and growing his love for food. Gary Johnson began his hospitality career in a neighborhood restaurant near his hometown outside of Fort Worth, Texas. 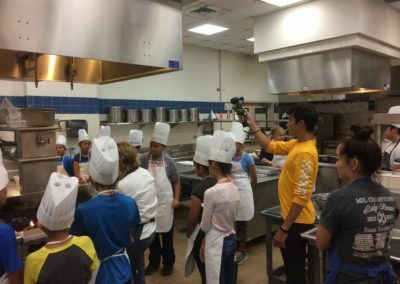 After Gary received his degree at Le Cordon Bleu culinary school, he worked in famous kitchens throughout Colorado and Texas before moving to Hawaiʻi. 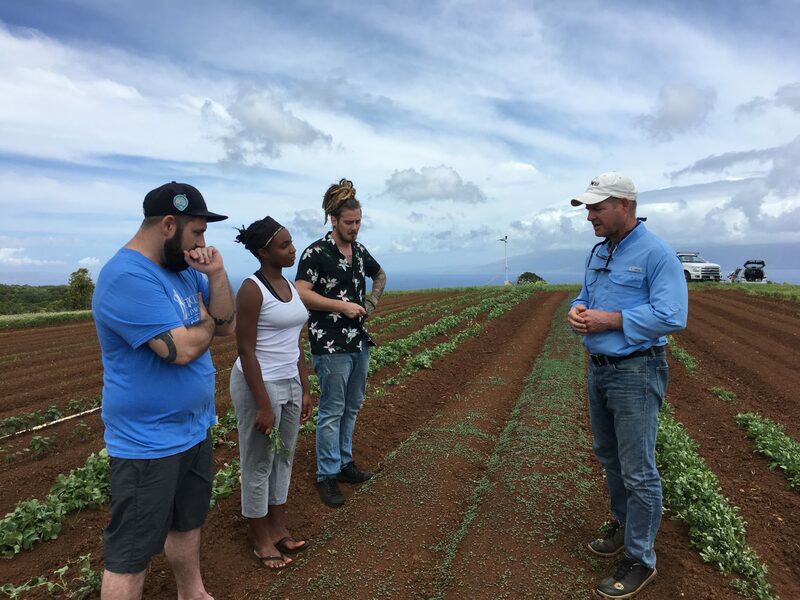 Since his time on Maui, Gary has worked in the award-winning kitchens of Capsiche, Kaʻana Kitchen and Joe’s Nuevo Latino and has built lasting relationships with Maui’s local farmers, fisherman, and ranchers. 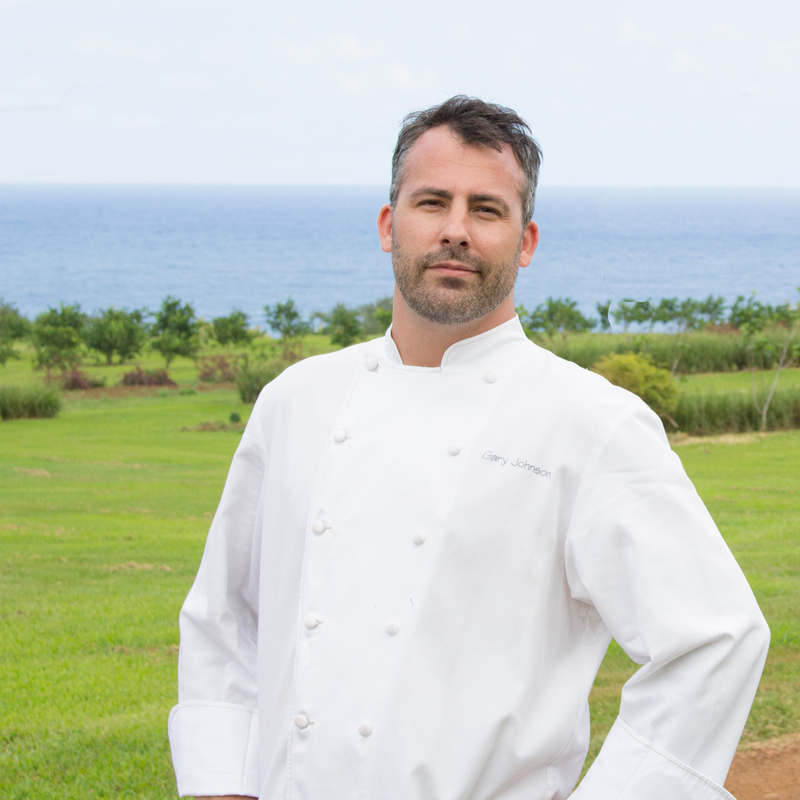 In 2015, Gary joined the newly opened farm to table restaurant Hāna Ranch Provisions as Head Chef. 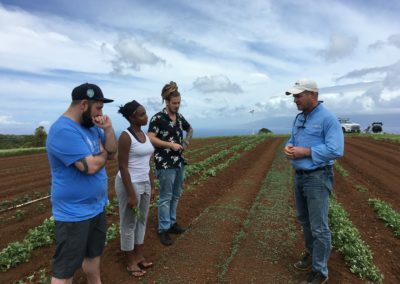 Gary’s culinary style and vision match Hāna Ranch’s penchant for local organically grown produce, and thoughtfully sourced meat and seafood. At Provisions, Gary’s cooking was featured in over 40 publications in one year, including Vogue, The New York Times, The Los Angeles Times, The Food Network, HAWAIʻI Magazine and many more. In 2016, Provisions won an ʻIlima award for Best New Restaurant on a Neighboring Island and was listed as a Best New Restaurant by Hawaii.com. 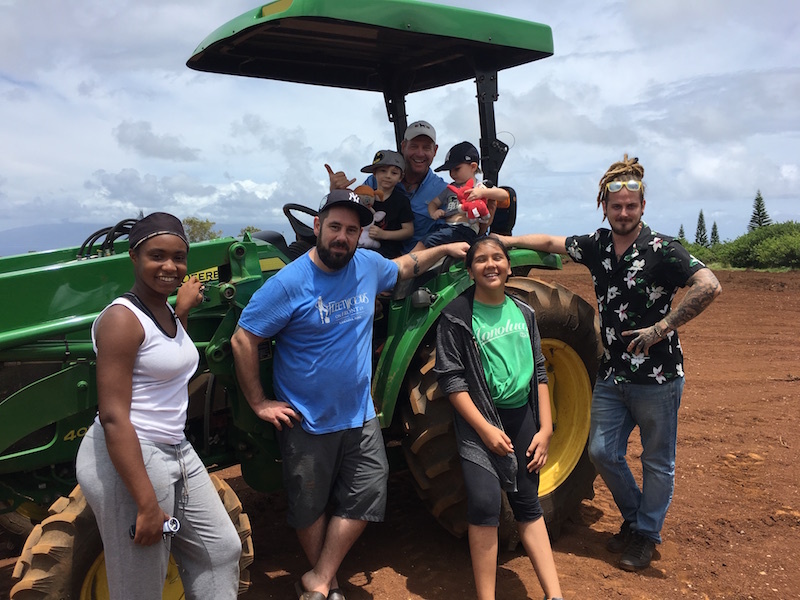 Expanding his role at Hāna Ranch, Gary is now the Executive Chef and Director of Hospitality, overseeing food operations and events at the Hāna Burger Food Truck and Hāna Ranch. 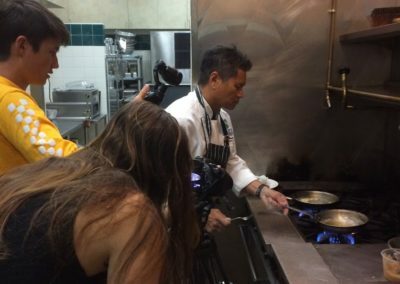 Born and raised in Kula, Maui, Chef Kyle Kawakami has always been intrigued and drawn to the culinary industry. 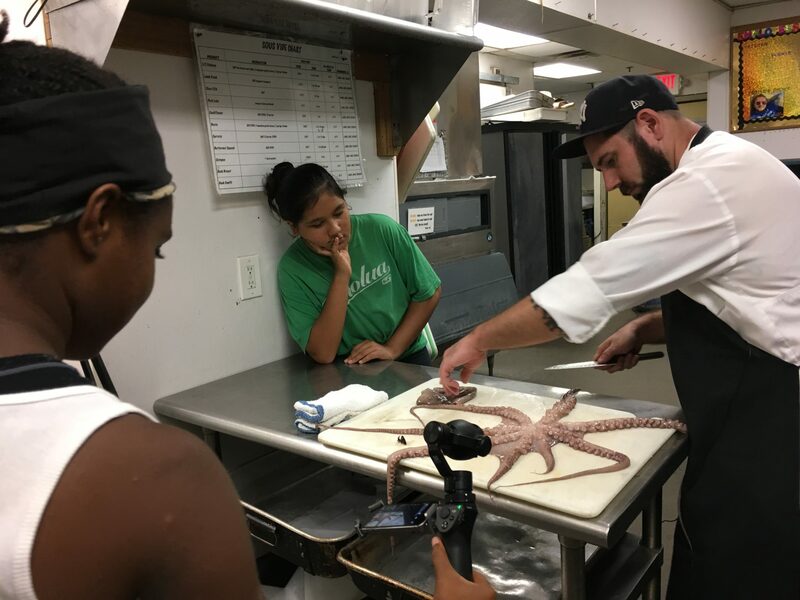 After graduating from the University of Hawaii at Manoa in Marine Biology, Kyle continued his education at Maui Community College in their culinary arts program. After working several years at the Fairmont Kea Lani resort under the tutelage of Chef Tylun Pang, Kyle returned to UHMC as an instructor where he spent 10 years teaching young culinarians of Maui. 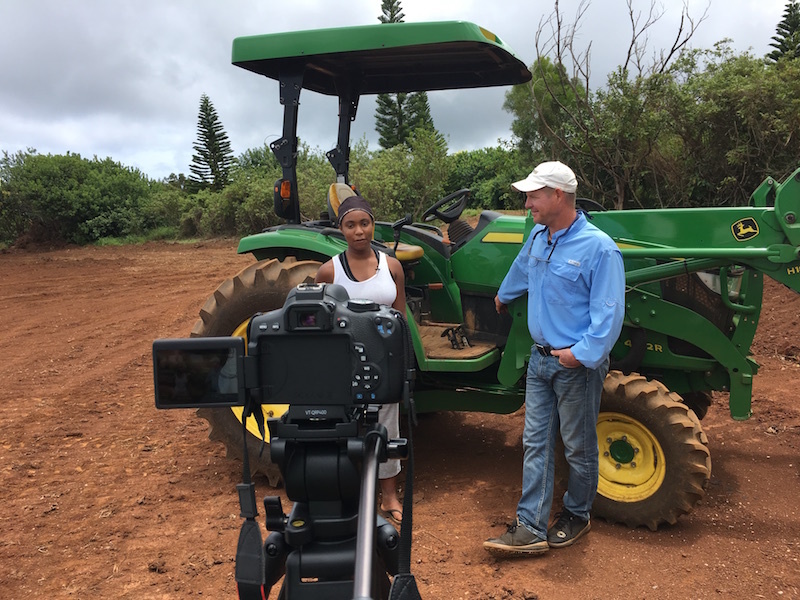 Through travels and work in the continental US, Kyle saw the exploding food truck industry and felt an opportunity to create a unique experience here on Maui. 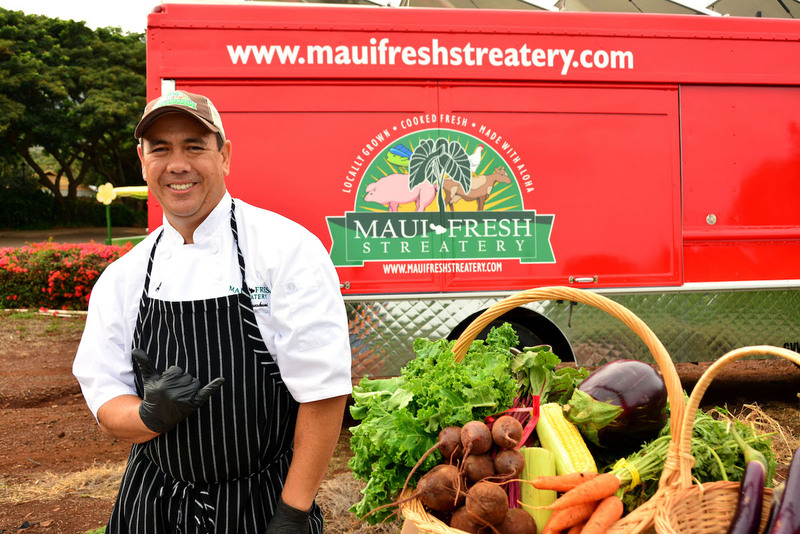 Maui Fresh Streatery was created in 2013 with the goal of exposing local residents of Central Maui to a wide variety of cultural cuisines while supporting local agriculture, ranching, and fishing. In the spirit harmonizing of flavor, locally grown ingredients & globally refined technique, Andaz Maui at Wailea Resort’s Executive Chef Isaac Bancaco (Kaʻana Kitchen, 2014’s “Best New Restaurant” by Maui Nō Ka ʻOi Magazine) pays tribute to his stout Maui roots (Hawaiian, Japanese, Chinese, Filipino). 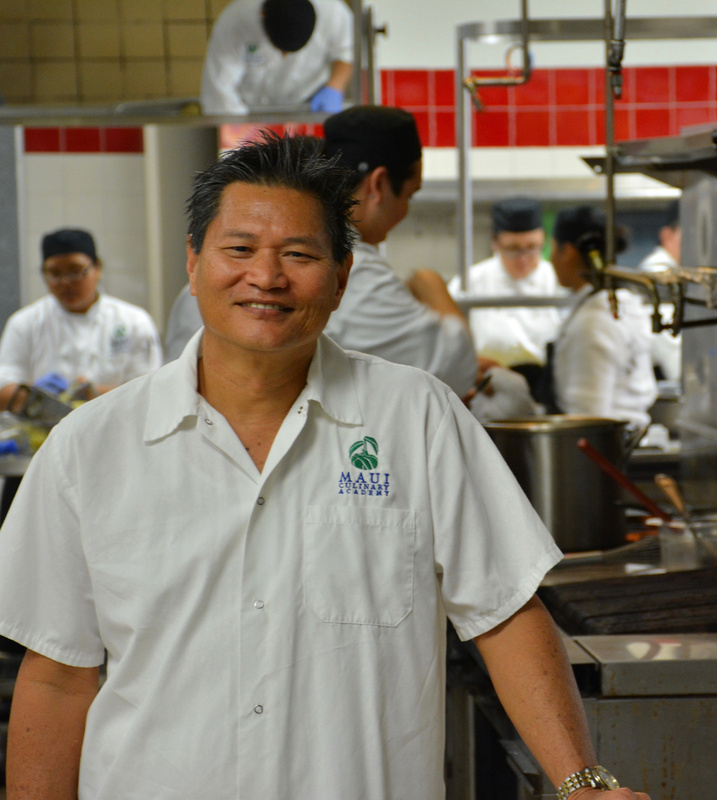 In addition, Bancaco has been named the 2014 ʻAipono Awards “Chef of the Year,” by Maui Nō Ka ʻOi Magazine. 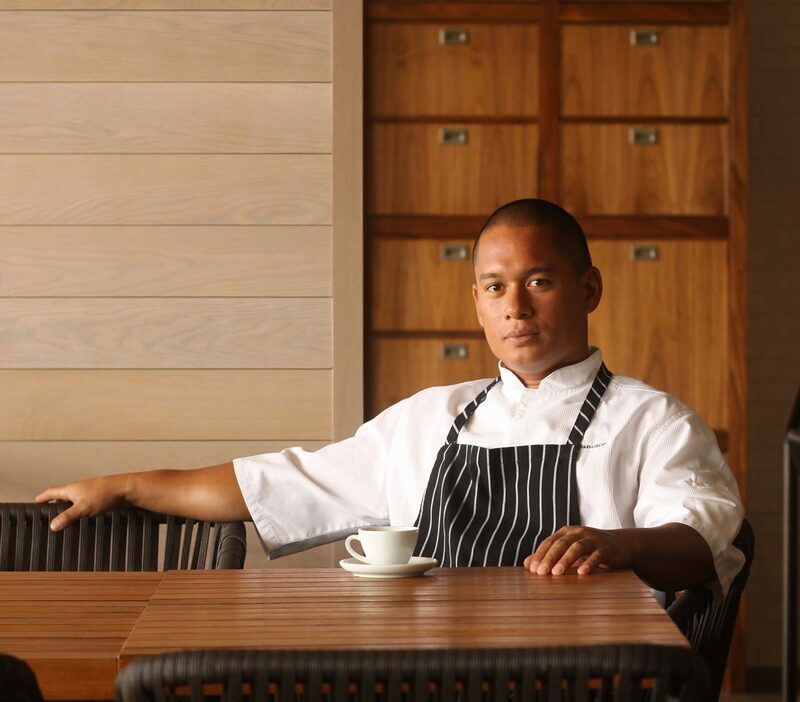 2014 also garnered him Pacific Business News Top 40 Under 40, the only chef in PBN’s 2014 class. 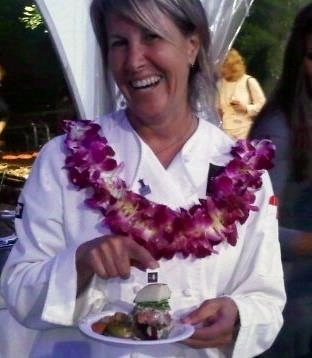 In 2011 Bancaco was honored as the only chef in Travel Age West’s, “Future Faces of Hawaii Tourism” and “Top Young Chefs to Watch” by Hawaii Hospitality. 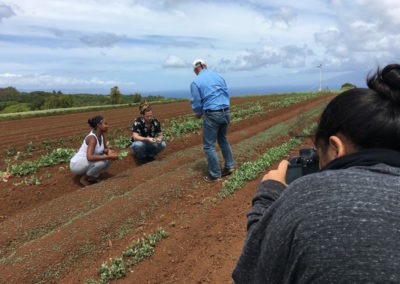 As an active player in supporting Maui’s farms and farmers, Bancaco displays a perfectly balanced menu of locally sourced components at the chic Andaz Maui at Wailea Resort. He now flaunts using 85% from the islands top growers, ranchers and fishermen. After securing his first cooking position at the acclaimed Blue Ginger under Ming Tsai, Bancaco competed as Tsai’s sous chef on “Iron Chef America” defeating Bobby Flay in “Kitchen Stadium,” his first defeat on home soil. Born and raised on Maui, Bancaco possesses deep rooted pride in Hawaiʻi’s locally grown and produced goods giving diners a paralleled sense of place and a taste of his island home. Hauling up lobster pots on her Dad’s lobster boat and foraging for mushrooms in the soggy Maine woods left a mark on Maja Liotta at an early age. Always at home in the forest and along the shores, Maja developed a keen eye for uncommon ingredients and honed a gift to create meals from them. 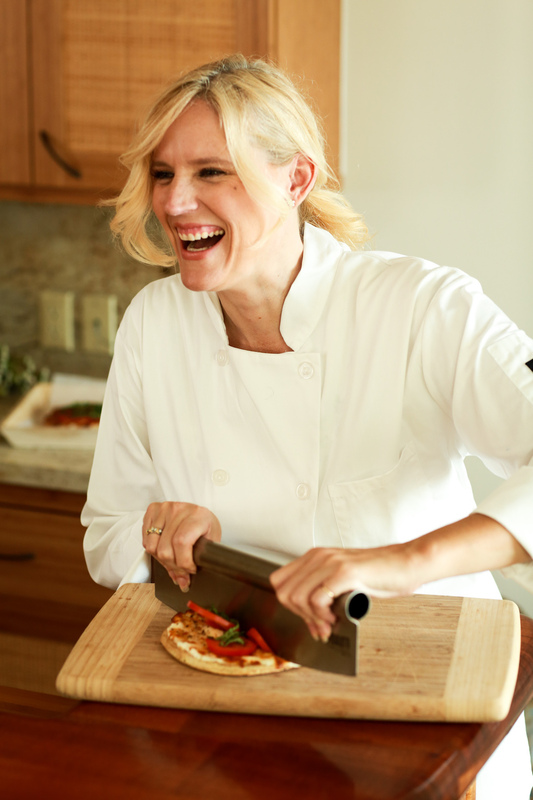 After graduating from college in 1996, she ignored the nudge to pursue culinary and meandered along the career path choices including corporate america, private education, real estate, motherhood, entrepreneurism until lastly she came back to her first love, culinary. After making Hawaii home with her family 4 years ago, Maja stumbled upon the opportunity to work as a private chef. 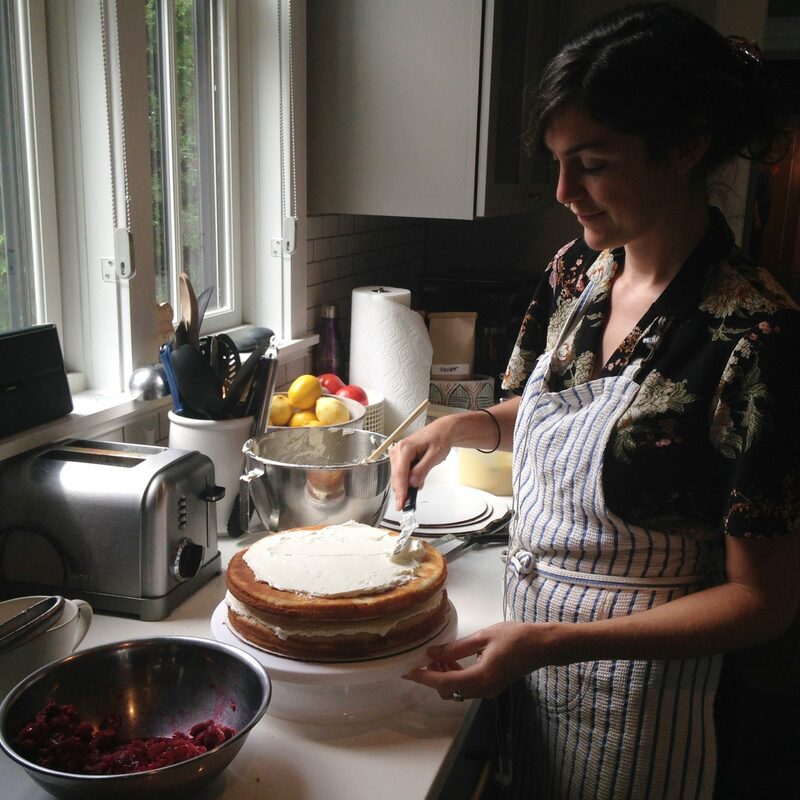 Maja loves creating meals for residents, friends, family and visitors to the islands. 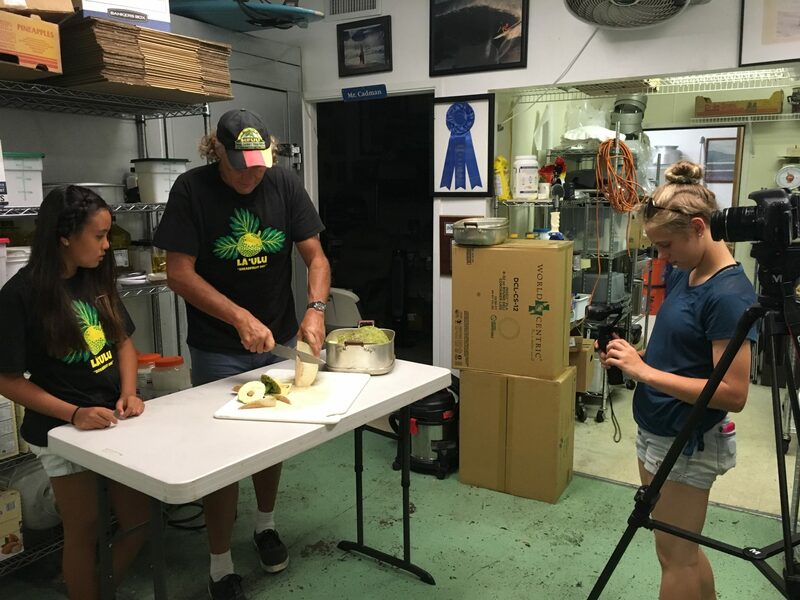 In 2017, she added her Culinary funshop, “Chiffonade and Sizzle” to her offerings as well as promotes clean eating and culinary instruction for local school aged children on Maui by doing a “uber foods” funshops. Maja embraces alternative diet requests, especially paleo, plant based/vegan and gluten free. 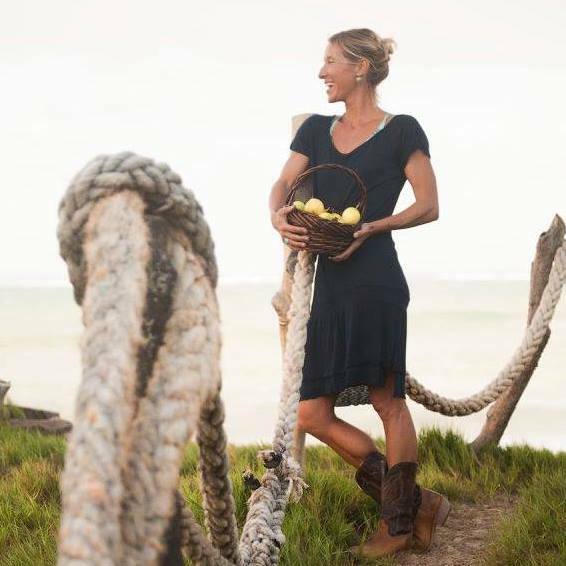 When she isn’t cooking professionally, Maja is on the hunt for waves with her three kids or mixing up batches of her reef safe suncare product, Solkine. 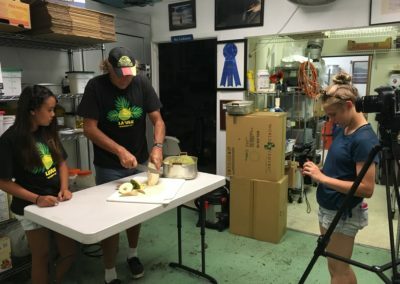 Chef John Cadman is passionate about canoe plants, especially ʻulu (breadfruit) a main ingredient in his most locally-sourced Pono Pies, and its potential as a healthy and local food source for people throughout Polynesia. 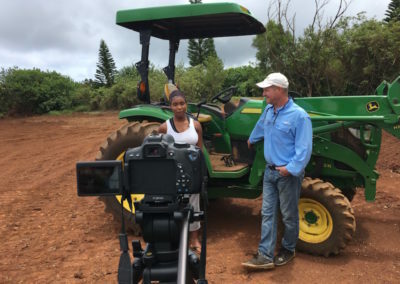 John is famous to many of our students from his days working as cafeteria manager in Haiku Elementary, King Kekaulike High School and Kamehameha Schools Maui. 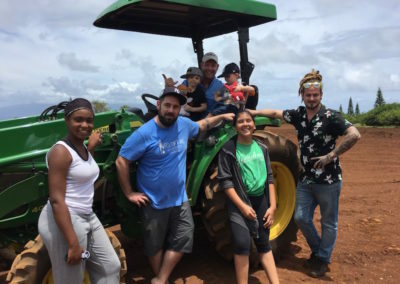 Now as owner and operator of Pono Pies, John creates delicious sugar, gluten, dairy and GMO-free raw desserts out of as many locally sourced ingredients as possible. His pies are not only delicious but also represent his contribution to eating in a more pono (righteous) way that is both healthy and sustainable. Executive chef (Retired), owner of sola restaurant, Chicago. Chicago’s best new restaurants 2007. Chosen as one of Chicago’s best chefs 2009, named one of Chicago’s Culinary queens, national restaurant association / Food Arts chef BBQ winner 2008, 2009 and winner at South Beach Food and wine Festival-Rachael Ray’s burger bash, 2009. Molly has been a nomadic pastry chef for the last ten or so years. She has baked and lived in New Orleans, New Zealand, Bulgaria and now Hawai’i. She also is an artist that specializes in food illustration, a niche where the two passions of food and art can combine. She learned to bake at her sister and brother in law’s gelateria in New Orleans, where she started off baking cookies and ended up learning how to make the gelato and becoming a full time pastry chef. She has been known to create wedding cakes with organic and natural ingredients, and also for her use of edible flowers and focus on rustic beauty and simplicity. She strives to be as local and sustainable as possible, always using the best ingredients and highlighting whats in season. 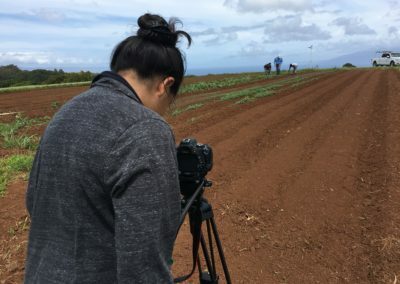 The goal of her food creations are to not just deliver those who eat them with nourishment and good flavor, but also to help bring people together and create community over shared experience, while supporting local growers and farmers as well. 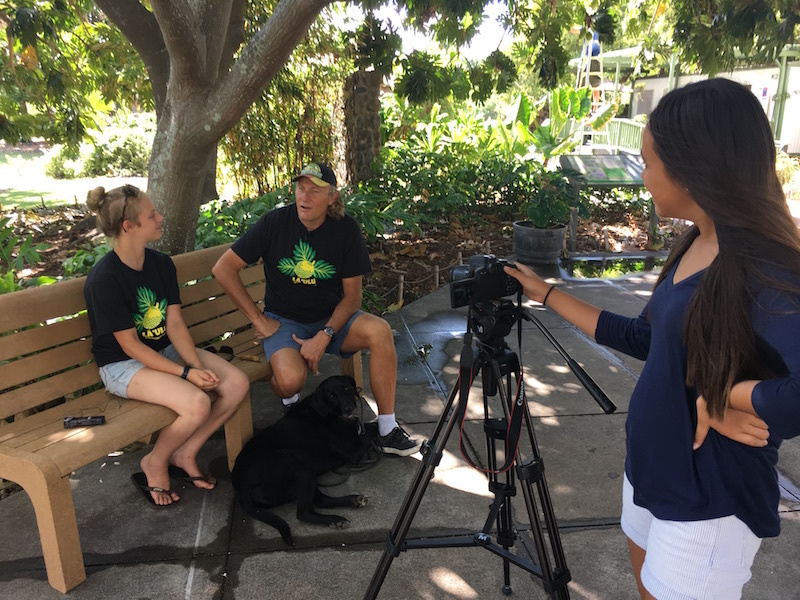 Congratulations to Huliau students Troy Lau and Jaden Kreutner for winning our 2017 HFFF student film contest!